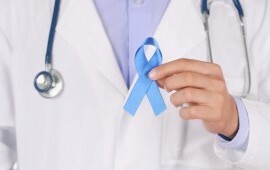 The Stone and Prostate Treatment Service is a specialized center under the Institute of Urology. It is dedicated to non-surgical management of urinary tract stones and benign prostatic hyperplasia. It has the Medispec Electromagnetic ESWL machine and likewise the Medispec Transurethral Microwave Thermotherapy (TUMT) machine which may be used to treat patients with BPH who are poor candidates for surgery and those with intractable chronic bacterial prostatitis. "“I’ve had experiences in other hospitals, but the standard [in St. Luke’s] is really high. Even before the operation... I really felt positive that I would be back to normal,” - Federico Sevilla"